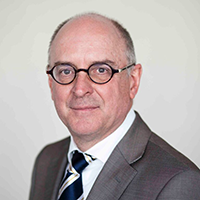 Professor Emile Aarts has been rector magnificus of Tilburg University since June 1, 2015. As part of this position, he is responsible for the university’s education policy, including issues relating to the transition from higher secondary to academic education and the cooperation with the universities of applied sciences; the research policy, including indirectly funded and contract research; internationalization; the professorship policy; and academic representation (Doctorate Board). Emile Aarts (1955) studied physics at Radboud University and obtained a PhD from University of Groningen in 1983. Between 1983 and 2012, he worked for Philips Research in various research and management positions until he was appointed Chief Scientific Officer in 2009. Since 1990, he has been a part-time Professor of Computer Science at Eindhoven University of Technology. In 2012, he left Philips to pursue his academic career as Dean of the Department of Mathematics and Computer Science at Eindhoven University. Emile Aarts has an extensive track record as a manager at academic and government institutions, on both national and European levels. He was a member of the European ICT Advisory Board (ISTAG) and, for more than ten years, chaired the Board of the NWO Division of Physical Sciences. He has co-authored more than fifteen books and two hundred scientific publications. He was involved in the launching of the innovation concept ‘Ambient Intelligence’ (1997) and set up the Philips ExperienceLab (1998), the Intelligent Lighting Institute (2008), and the Data Science Center Eindhoven (2013). In 2014, he launched the Data Science Cluster Initiative, in which Tilburg University and Eindhoven University of Technology have committed themselves for a Brabant data science expert center with international appeal. His research interests include Data Science, Social Innovation, and Open Innovation.